It is bad enough that it is crazy hot and I have been outside at my son’s Field Day since 9.30am, but now I get word that BKLYN Yard is closed for business. As quickly as I fell in love with that oasis on the stinky Gowanus Canal, it is gone. The folk at Mean Red Productions, say last weekend – which was a bonanza with events including Score! Free Pop-Up Swap and Parked, where some of the city’s hottest food trucks gathered and fed thousands for the holiday weekend – was the finale. The landlord apparently won’t honor or even renegotiate the lease on the Carroll Street property and has told Mean Red to take their four-year vision elsewhere. 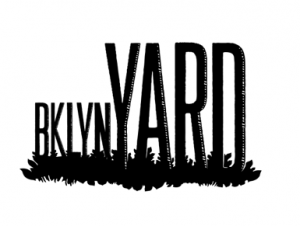 The landlord “requested that we take what we have built, and terminate all of our confirmed plans and schedule for BKLYN Yard this summer, ” Mean Read, the production, marketing and promotions company that dreamed up the yard concept, says in a posting on the BKLYN Yard web page. They may be down, but definitely not out: “Rest assured our renegade spirit and love for pop-up spaces will come alive again this summer — very possibly with the same collaborators and programming you see on our current schedule… And very possibly even better than we had planned before,” says Mean Red. Meantime, Doug Singer, Eamon Harkin and Justin Carter’s Sunday Best series will continue on at another location, including this Sunday with DJ Koze. To find out where, keep an eye on www.sundaybestnyc.com.